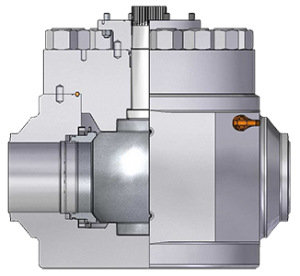 Our engineers have developed a comprehensive range of subsea valves, operators and hydraulic actuators to deliver complete tailor made packages meeting the highest subsea specifications. With a dedicated Subsea Division, internal machining, cladding, structural welding or hyperbaric testing capabilities, we are uniquely prepared to execute projects efficiently and safely, bringing you decades of subsea experience and the expertise you need to develop the most challenging fields. Subsea top entry ball valves are designed according to API6DSS, API6A, API17D with the addition of customer requirements when present. The valves do not rely on lubricant or grease to assist sealing between the ball and seat. Metal-to-metal sealing is used between the ball and seat and non-elastomeric seal are provided between the seat and body. Metal-to-metal sealing is also provided between body-to-bonnet and stem-to-body (optional). The Subsea ball valves are actuated by Perar hydraulic actuator or gearbox as requested. Subsea side entry ball valves are designed according to API6DSS, API6A, API17D with the addition of customer requirements when present. 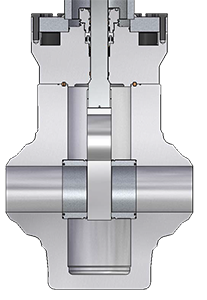 Metal-to-metal sealing is also provided between body-to-closure and stem-to-body (optional). The Subsea ball valves are actuated by Perar hydraulic actuator or gearbox as requested. 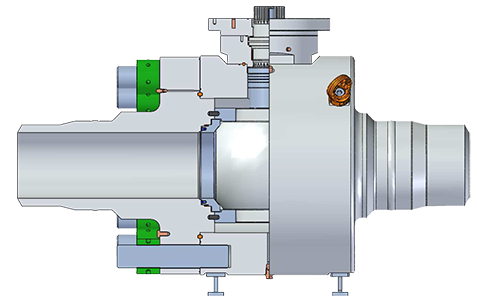 Subsea swing check valves are designed according to API6DSS, API6A, API17D with the addition of customer requirements when present. The valves do not rely on lubricant or grease to assist sealing between disc and seat. Metal-to-metal sealing is used between disc and seat and the seat is welded to the valve body; both seat and disc are hardfaced with UNS N06625 or Stellite.Metalto-metal sealing is also provided between body-to-bonnet and stem-to-body (optional) in case of ROV operated valves. The Subsea ball valves can be provided to be locked open by ROV. ROV lock open stem design to keep valve fully open for reverse pigging. Forged material to comply with API6A PSL3Valve actuation with dedicated hydraulic actuator or ROV operable device. 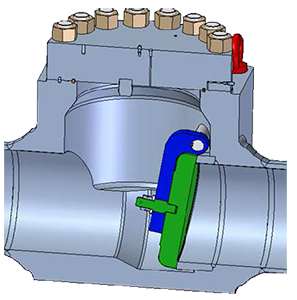 Subsea through conduit gate valves are designed according to API6DSS, API6A, API17D with the addition of customer requirements when present. The valves do not rely on lubricant or grease to assist sealing between the gate and seat. Metal-to-metal sealing is used between the gate and seat and between the seat and body. Metal-to-metal sealing is also provided between body-to-bonnet and stem-to-body at fail position via backseat. 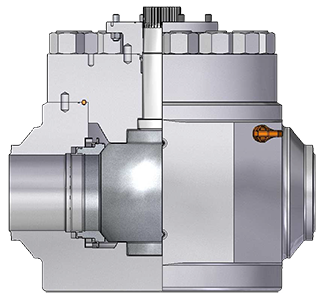 The Subsea gate valves are actuated by hydraulic actuator or gearbox as requested. 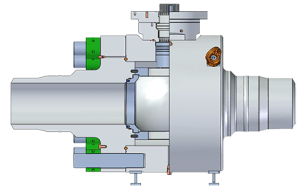 Full metal-to-metal sealing at any primary pressure boundary including valve stem at fail position with the option of double backseat to provide metal sealing at both open and close positions.